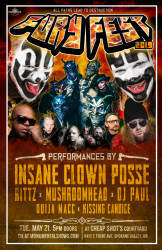 With the big successful event from last year, Insane Clown Posse makes their return to Spokane in a big way. 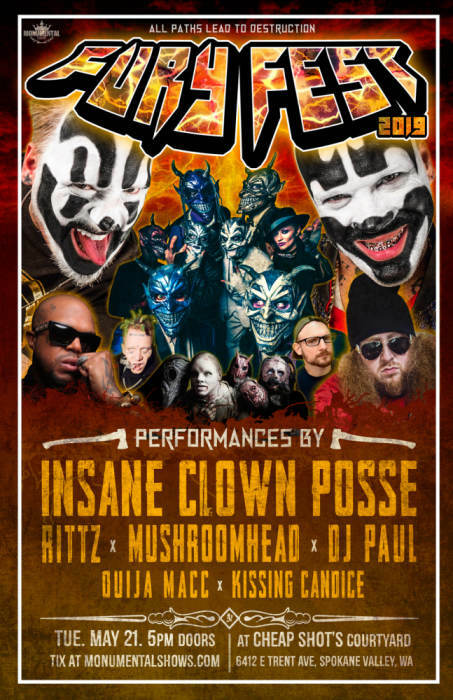 This time they're ready to unleash the power of the Faygo at an explosive all ages outdoor event, and this time they're bringing some friends with them. RITTZ is no stranger to many in the area and will get the crowd moving to his tasty beats. Mushroomhead is going to get some heads banging early as they return to Spokane after years since their last appearance here. DJ Paul of Three 6 Mafia helps get the party started along with Ouija Macc and Kissing Candice. This is one for the ages.